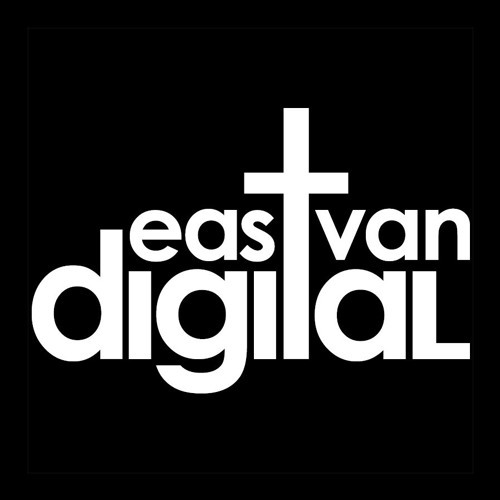 Founded in 2010, East Van Digital is a Vancouver, Canada based digital recording label that provides a sampling of both international and homegrown artists across a variety of electronic sub-genres. Licensing: eastvandigital@gmail.com ***** Label Artists ***** 22:22, Amoeba Sound Design, Andy Clockwork, Audit, BeardFight, Chadio, Crystal Precious, Dark Arps, Ded Sheppard, Dee Bass, DJ Thistle, Don Winsley, Fresh Baked DJs, Haakonsen, iamforest, Javy Groove, Joseph Martin, Kasey Riot, Knautic, Kytami, Levrige, Like Mind, Living~Stone, Longwalkshortdock, MistrWOLF, My Electronic Friends, Numbersix, Perfect Cell, Project Pet, Queensyze, Self Evident, Shamik, Sinerise, Sleepwreck, Squamwise, Suburb Beat, Tasen, The Librarian, The Stunt Man, Timothy Wisdom, Tree Elves, Vinyl Fixx, Wepa!, Wes Beanz, Woodhead. ***** Featured Artists ***** 11:11, A-Mac, Abstrakt Sonance, Adam Starr, Adamallday, Andru Pozzatron, Arcovelo, Aristotle Punk, BBK, Beamhead, Beatsmith, Ben Colmen, Ben Hurd, Bevvy Swift, Bezwun, Blind Prophet, Bre Q, Candace Marie, Carbon Parlour, Chantel Upshaw, Cherub, Chilli & Sage, Citizen X, Coldbeat, Conque$t, Cure, Daega Sound, Damon Morris, Dan Solo, Deanna Teeple, Deriek Simon, Diana Boss, Dirtnapper, Discosynthetique, DJ Czech, DJ Generic, DJ Madd, DJ P Breaks, DJ Soo, DJ Wood, DNGRFLD, Dr. Giggle Bytes, Dronus, Drugzndreamz, Elonious, Emily Spiller, Enso, Eradik, Esette, Frank Grimes, Frederik Mooij, Futexture, Gameboy, Geneva B, Ghosting, Greazus, Gwil, Gymbo Jak, Hando Jin, Handsome Distraction, Hebegebe, HumanTraffik, HxdB, Iain Duncan, Iain Howie, Ill-Esha, Intersect, J-Roc, Jana Lahti, Jay Klos, Jeff York, JF Killah, Joel West, Jon Hype, Jon Lee, Jprime, JWreck, Karsten Sollors, Kermode, Kir Mokum, Kline, Kutcorners, Lakeshore Drive, Lasu, Leisuregroove, Lido Pimienta, Marcus Visionary, MC Shockin B, Misselaineous, Mista Chatman, Moniker, Monologue, Mr. Archive, Myles Away, N.U.D.L.Z., Nafasi, Ndidi Cascade, OSC, Peter Kairoff, Phonik Ops, Push/Pull, Rel!g!on, Rennie Foster, Riddim Fernandez, Rustem Rustem, Ryan Orion, Ryan Wells, S2, Sauce, Schenk, Sheps, SkiiTour, Spyte, Steven Mek, Sunnyboy Jazz, Taal Mala, The Bea7nix, The Gulf Stream, The Unused Word, Thought Photography, Tory D, Totemic, Trapezoid, Trypta, UTE, Vipond, Westside Legacy, Willisist, Wood N Soo, Yan Zombie.